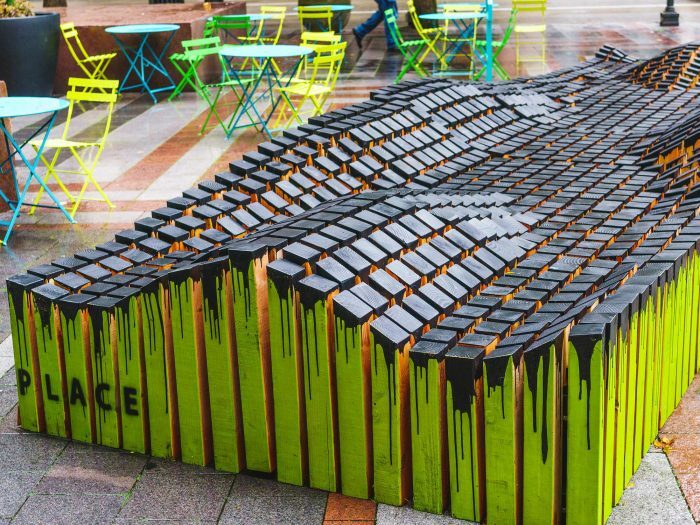 Equal parts lounge chair, jungle gym and bench, this lime and black sculpture in Westlake Park has room for everyone. 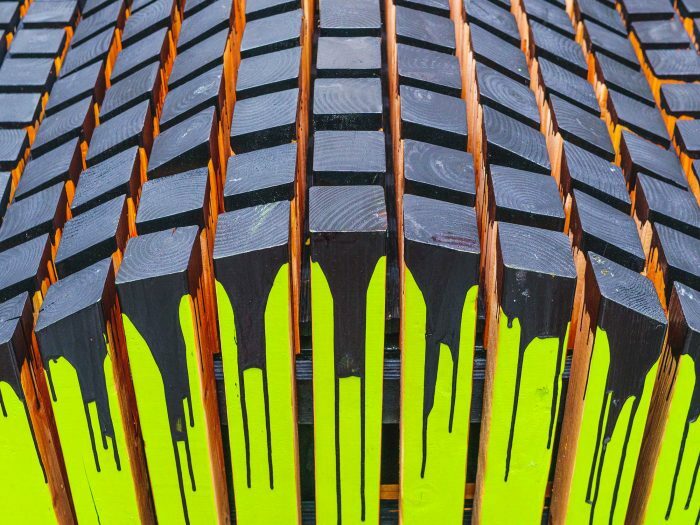 Built by local architecture, art and urban design studio PLACE, the piece is shaped by more than 1,100 precisely cut wooden posts. Its surface is airy and inviting while the posts are tightly grouped to prevent stray feet or hands from getting wedged. Its open design means visitors can enjoy lunch while kids tumble across its gentle swells with room leftover for friends to catch up or tourists to rest weary feet. By stimulating activity and interaction, art brings more people and life into the parks and enriches downtown. 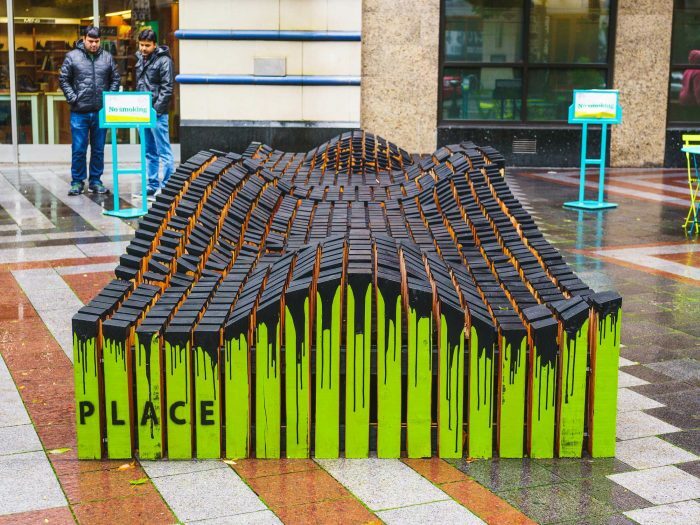 This installation’s placement is part of an effort to extend the impact of Seattle’s Design Festival. PLACE to go will remain in Westlake Park until Nov. 10. In 2018, DSA hopes to house festival installations at other sites in addition to Occidental Square and Westlake Park.